Clean energy advocates hope the increased threats highlighted in the federal report will push the state to embrace climate action. Clean energy advocates say last month’s federal report on climate change underscores the need for action in Ohio, which faces increased risks from flooding, heat and pollution, according to the report. “There is dire certainty if we do not act on climate: loss of clean energy investment to other states in our region, increasing pressure on agriculture, and warmer, wetter weather that makes toxic algal blooms worse,” said Frank Szollosi, Great Lakes climate policy director for the National Wildlife Federation. Meanwhile, there is massive economic opportunity for Ohio if it embraces climate action through policies for more clean energy, Szollosi said. The energy sector will play a big role in how severe climate impacts will be. The U.S. Global Change Research Program released its Fourth National Climate Assessment Report on Nov. 23. The report focuses on science, drawing on contributions from hundreds of contributors nationwide. Climate change leads to degraded air quality, longer pollen seasons, flooding, increased daytime and nighttime temperatures, and changes in habitat conditions. All those factors can create or worsen risks for illness or injury, the report explains. “Ohioans’ health — particularly those with lung and cardiovascular diseases — suffers from our over-reliance on coal-fired power plants,” said Trish Demeter, vice president of energy policy for the Ohio Environmental Council. According to the report, coal still provides more than half of the Midwest’s electricity, and eight states in the region accounted for about a third of the nation’s coal use in 2015. Changing precipitation patterns and elevated flood risks are already causing impacts on stormwater management systems, transportation networks and other critical infrastructure in the Midwest, according to the report. That includes the electric system. Midwesterners can also expect higher electricity bills as a result of climate change impacts, according to the report. By 2090, the increased electricity demand will be about $1.2 billion (in 2015 dollars). The extra cost could cause financial and health burdens for consumers, especially those who are chronically ill or rely on electronic medical devices, the report notes. Additional climate change impacts for the Midwest include consequences for its agriculture and forestry industries, as well as its biodiversity and ecosystems. In particular, the report cited the Toledo water crisis of 2014, which resulted from a harmful algal bloom in Lake Erie. “Toxic algal blooms … will be made worse by warmer, wetter weather going forward,” Szollosi said. The Great Lakes aren’t the only waters at risk. 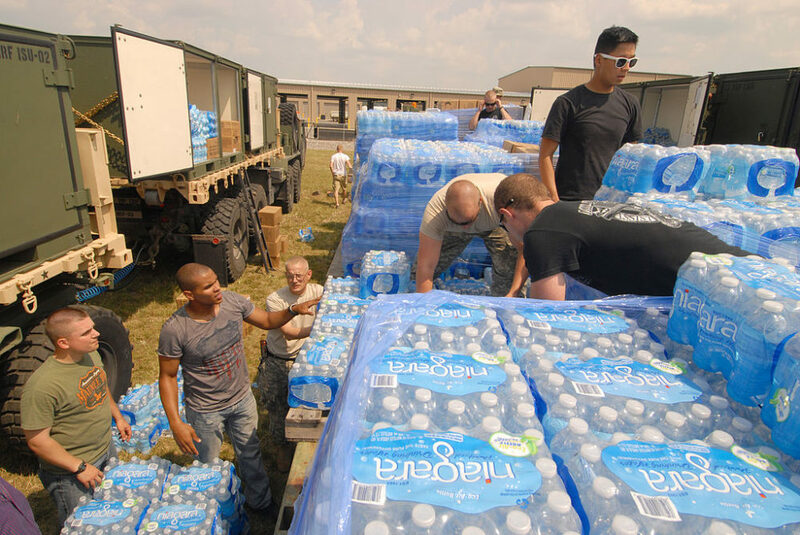 Ohio National Guardsmen package bottled water to be delivered to water distribution sites throughout Toledo in August 2014. Ohio Gov. John Kasich declared a state of emergency after a harmful algae bloom in Lake Erie contaminated the area’s public water system. How severe risks will be depends in large part on how high global average temperatures rise. Without significant reductions in greenhouse gas emissions, the U.S. economy will suffer “substantial net damage,” said NOAA’s David Easterling during a telephone news conference the day after Thanksgiving. He’s the technical support unit director for the National Oceanographic and Atmospheric Administration’s National Centers for Environmental Information. Climate change adaptation deals with steps to limit the harm from climate change impacts that will occur. For example, Cleveland, Columbus and Cincinnati had between two and six more heat waves in 2017 compared to 1961. Those cities also had heatwave seasons lasting 20 to 60 days longer than before. Existing early warning systems to reduce heat-related sicknesses could be modified to account for climate change. Likewise, public health surveillance programs could be revised to account for shifts in the territorial ranges of insects that transmit disease. Climate change mitigation deals with ways to limit the amount of overall warming that takes place, primarily by reducing greenhouse gas emissions. Without mitigation, climate change impacts will be more extreme. “The projections suggest that each additional unit of warming will increase the risks for adverse health outcomes,” said Kristie Ebi, a public health expert at the University of Washington who worked on the report’s chapter on health impacts. Yet mitigation measures aren’t just about preventing more problems in the long-term future. “Almost all the mitigation policies benefit our health, and they benefit our health now,” Ebi stressed. Benefits include fewer hospital visits for asthma attacks, fewer premature deaths from particulate emission and so on. “When you add up all these avoided damages, when you add up what that means in terms of saved costs, the size of those costs is about the same size as the costs of mitigation,” Ebi said. Mitigation measures in the energy field could also do double duty for climate change adaptation. “We owe it to future Ohioans to accelerate the transition to non-polluting sources of energy so that we can do our best to limit the impacts to those most vulnerable among us,” Demeter said. “Energy efficiency is the dark horse of climate change solutions,” Demeter said. “Energy efficiency cuts carbon pollution, and if we get serious about investing in efficiency in a bigger way, it will also help Ohioans adapt to the impacts of changing climate.” If people use less electricity, their bills should be lower. Renewables have grown nationwide, but environmental advocates say increasing renewables can boost resilience to climate change and other impacts. “At this point, we’re over-reliant on coal, but without actions to diversify more and in a more deliberate manner, we run the risk of becoming over-reliant on another fossil fuel — natural gas,” Demeter said. Renewables offer other benefits as well, in Szollosi’s view, including creating jobs, attracting investments and improving public health outcomes. In his view, the science report “should be required reading” for incoming Gov. Mike DeWine and the General Assembly taking office in January, Szollosi added. “By expanding Ohio’s clean energy policy commitment and fixing the restrictive wind setback guidelines, the state can ensure energy reliability, reduce emissions, and protect public health and habitats,” Szollosi said. The American Solar Energy Society believes that supplying 100% of America’s electricity with renewable energy is not only possible, but urgently necessary. The ASES SOLAR 2019 conference will focus exclusively on strategies to achieve 100% renewable electricity in the U.S. by 2050 via actions needed within two years. This commitment builds on the messages heard at the SOLAR 2018 conference and the call for urgent climate action by the Intergovernmental Panel on Climate Change to constrain global warming to less than 0.5°C above today’s level to avoid threats to humankind from even higher temperatures. The door for impacting climate change is rapidly closing. ASES represents the scientists, educators, activists, and others who can provide renewable energy technologies and solutions for climate action in the United States that will have an impact within the next two years. We are the leaders. We can’t afford to be following public opinion and current consensus. We need to drive paths toward solutions that decarbonize the nation’s electricity supply . We are in a race against time, and ASES believes we can win that race. The ASES SOLAR 2019 Conference will be held in one of the leading states for taking climate action, Minnesota. Minnesota has enacted climate policies that have provided leadership in the growth of wind power, solar power, community solar, variable generation integration technologies, energy efficient buildings and electrifying the transportation sector. But the strategies and solutions that will be presented at the conference can – and must – be implemented across the country. Minnesota is pleased to host this important conference on taking climate action. Many strategies will be necessary to take immediate climate action: electricity supply (residential, commercial, industrial, utility-scale solar; on land wind power; offshore wind power); transmission (including a national HVDC grid); electrifying the economy (transportation, homes, businesses, buildings); policies (international, national, state, intra-state, city); public support (social media; popular press, education); personal actions (renewable energy opportunities; energy efficiency, electric vehicles). All should be focused on taking meaningful action within the next two years. The focus on urgent climate action will, by necessity, exclude other necessary technical and policy strategies from presentation at the conference, such as: documenting climate destruction; adaptation to a changed climate; long-term, innovative ideas for new renewable electricity generation; near-term projects that will have low impact and limited applicability, etc. 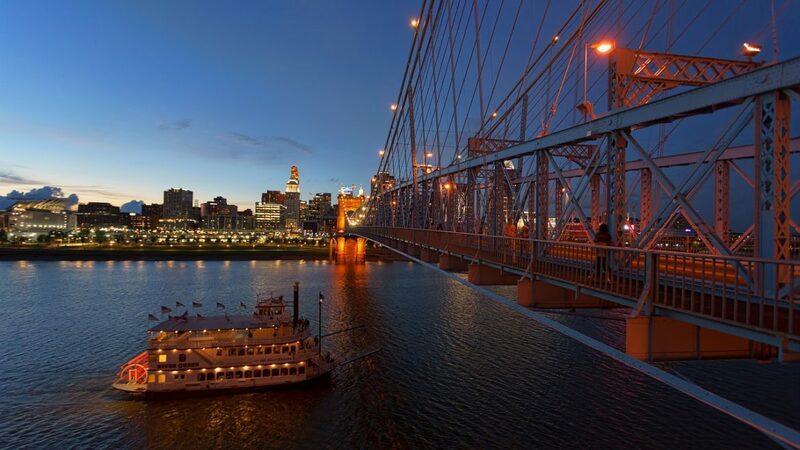 Of course, the ASES traditions for learning and networking will be included in the conference: Opening Reception, ASES Chapter Caucus and Annual Membership Meeting, Awards Banquet and Fellows Reception and Women in Solar Energy (WISE) Luncheon. The ASES chapter in Minnesota, the Minnesota Renewable Energy Society, is looking forward to organizing a variety of ancillary events to offer, from the electric vehicle display to the solar powered boats to technical training programs, solar-powered breweries, and more. The American Solar Energy Society (ASES) invites you to submit a proposal for an oral presentation or a poster at our 2019 conference, “SOLAR 2019: Race to Renewables,” taking place August 5-9 in Minneapolis, Minnesota. SOLAR 2019 will emphasize the need for immediate climate action to eliminate carbon emissions from electricity generation; the crucial role of renewables in taking climate action; important measurable targets; business case for climate action; and practical, competitive, technically feasible renewable energy solutions. Scope: ASES supports the goal of a 100% renewable electricity supplying the U.Sby 2050. Toward that goal, SOLAR 2019 presentations and panels will focus on technologies, research, education, policies and programs that focus on climate actions through the use of renewable energy that will have measurable impacts within the next two years for electricity, heating and cooling, and transportation. We encourage proposals for near term renewable energy actions that will help guide the U.N. Climate Action Summit in New York in September 2019.
theme (choose from one of the seven (7) major themes), specific topic within the theme, title, presenter, abstract.